Today President Bush patched things up with his base and nominated Appeals Court Judge Samuel Alito for the seat being vacated by the retiring Sandra Day O’Connor. Bush finally figured-out that this seat on the Court belongs to a qualified candidate and gave up the notion of swapping one unknown woman for another. 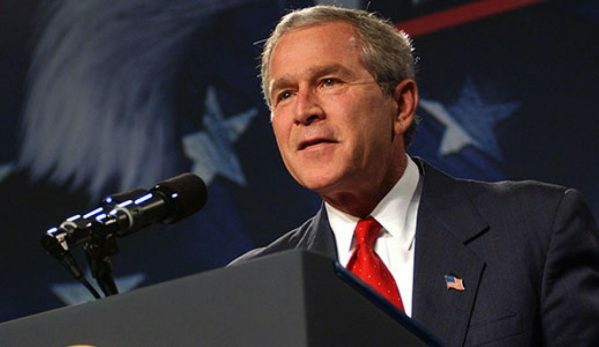 Some have claimed that this was Bush’s strategy in nominating Miers in the first place. That idea is nuts! This switch in nominees should correctly be attributed to Providence. For those of you that went to public school, Providence was often spoken of in the early writings of our nation and is understood as the unseen hand of God working in the affairs of men. Since this is a Christian belief by the founders of a Christian nation, I can understand why you never heard this at your local government school. Thankfully, Judge Alito has a proven track record of conservative jurisprudence. He is known for his judicial backbone and strict interpretation of constitutional issues. Now, we can finally have a national debate on the unconstitutional practice of judicial activism and legislating from the bench. In the end, the votes for confirmation of this nominee will be there despite the best efforts of Liberal democrats. Judge Alito is the type of judge that Ronald Reagan had hoped that he would get with O’Connor and Kennedy. Judge Bork would probably approve of this selection, but I haven’t heard it from him yet. Surely Sean Hannity will have him on soon. This appointment will bring unity and new life into the Conservatives that were profoundly disappointed in the Miers nomination. This nomination coupled with the Congressional Republican epiphany to secure the borders and reign-in spending will result of the renewed energy on the eve of the 2006 election season. Look for Republican gains in the Senate and the retirement of many old Liberal Democrats following this election cycle.